One of the highlights for a filmmaker is that moment when people see your film for the first time. All those many hours of work are put to the test as you anxiously wait to find out the audience reaction to your baby. Will they catch the humor? Will they feel the emotion? Will they get what you’re trying to say? When they do, it’s magical. 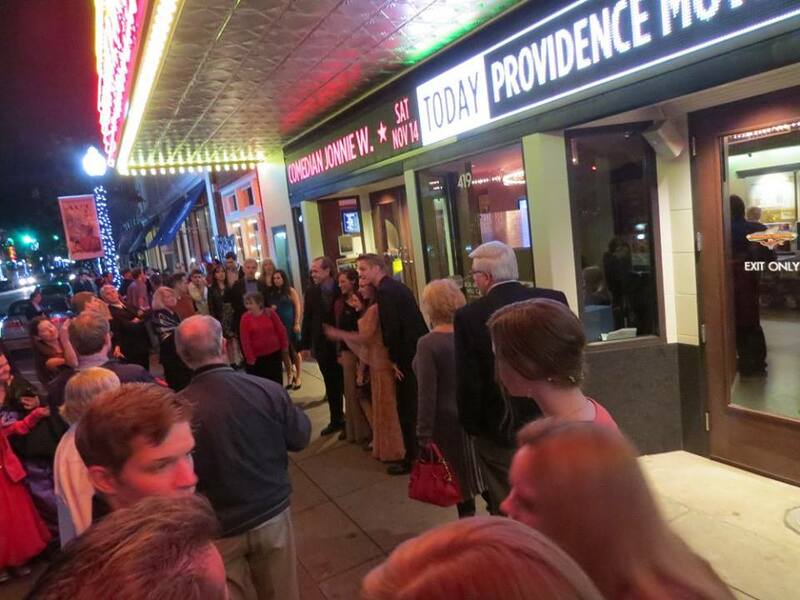 This past weekend was our Red Carpet Premiere for Providence movie. 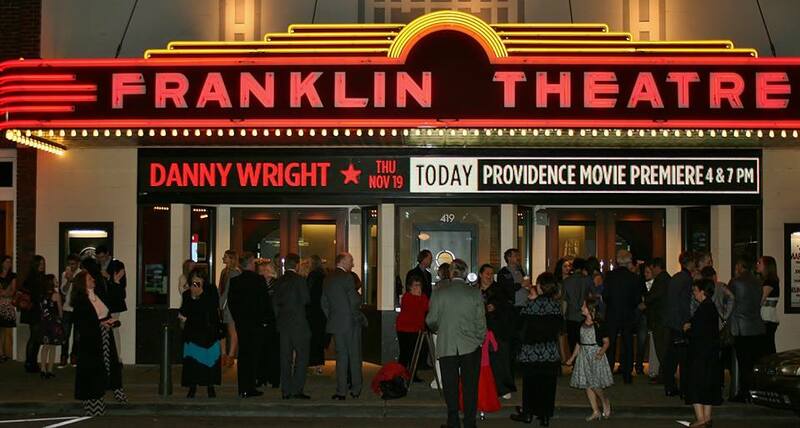 We were excited to be able to hold the event at the historic Franklin Theatre in downtown Franklin, Tennessee. The theater is a beautifully restored venue perfect for special events, and the staff does a great job at doing all they can to make everything perfect. 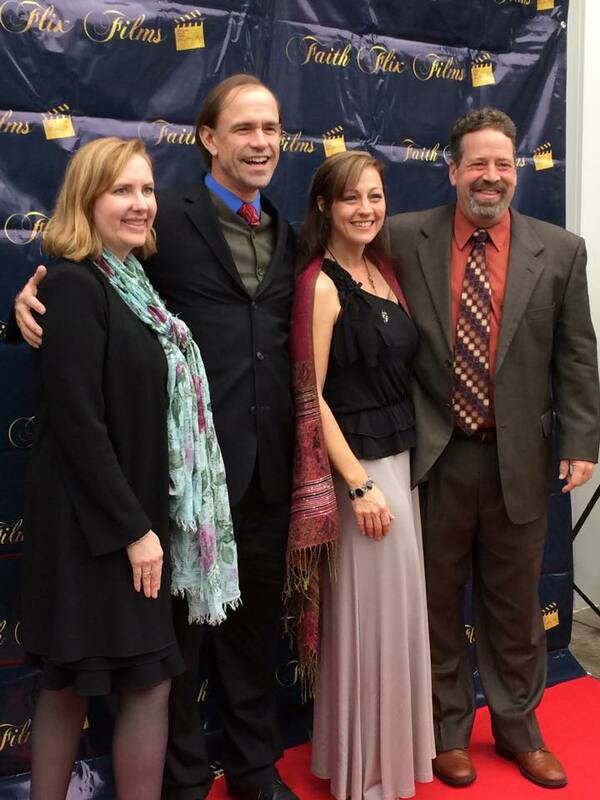 Providence movie lead actors Rich Swingle and Juli Tapken pose on the red carpet with their spouses. We began the day at 3:00 with preshow red carpet photos and lots of excitement as the film family was reunited for the first time since filming. We discovered that downtown Franklin is a hopping place on Sunday afternoon so crowds gathered along the sidewalk hoping to get a glimpse of the formally attired actors posing on the red carpet. The first screening began at 4:00 with a packed out house. From the beginning the audience got caught up in the story. 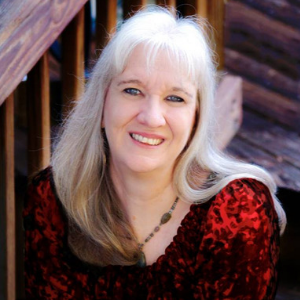 A fun treat was during the scene where Grandma rose lies critical in bed and a young boy near the front yelled out, “Is Grandma dying?” The audience laughed when they were supposed to and women pulled out tissues as they cried during the emotional scenes. What more can a filmmaker ask for? 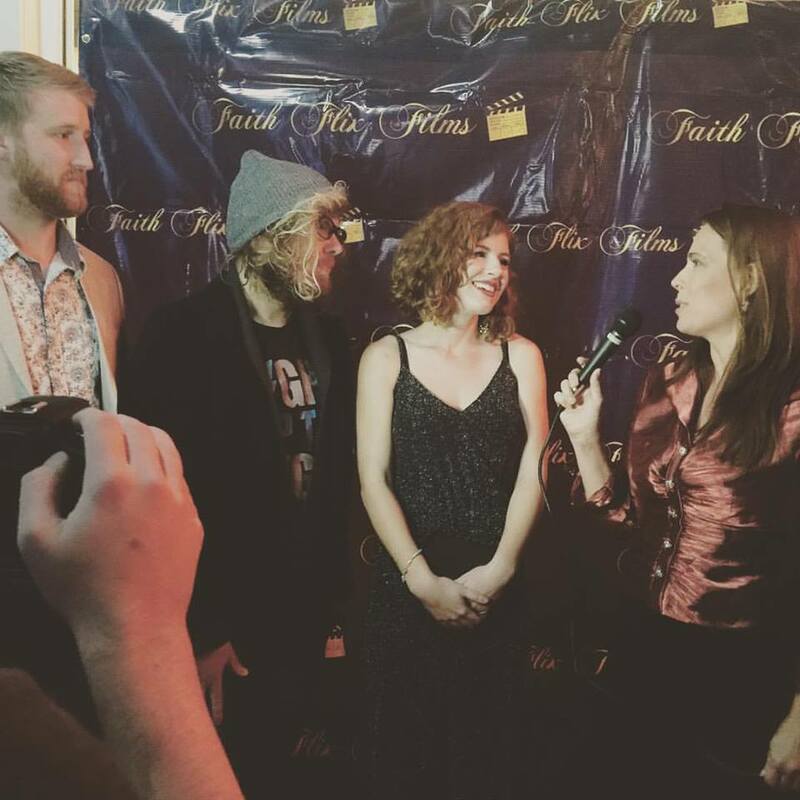 Between the two screenings local media interviewed the actors and musical artists. 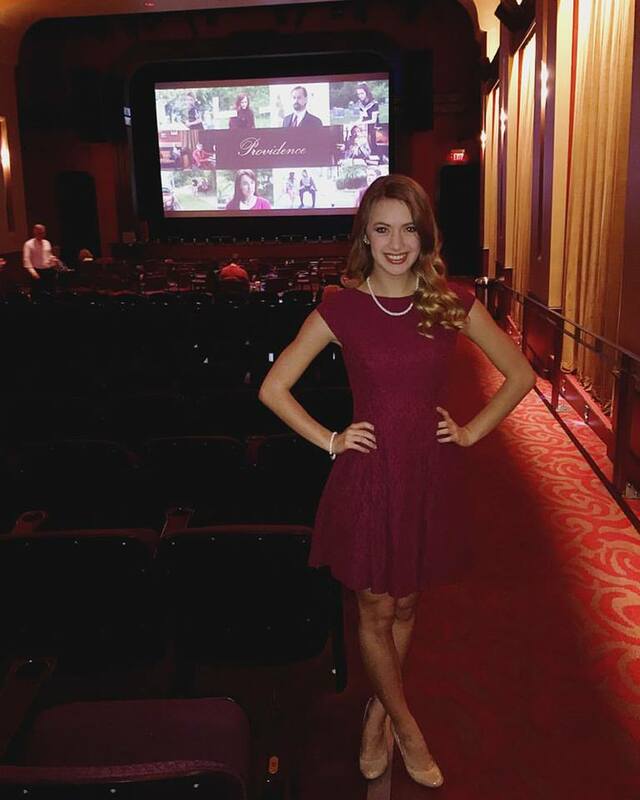 The media included Music City Corner, Belmont University film students, and Williamson Source. We also had both the media and several of the actors using Periscope for the first time and sharing the excitement of the red carpet festivities. The crowd was smaller for the second screening but equally enthusiastic. A number of the crowd from the first screening stayed to watch it again and were delighted to notice things the second time that they’d failed to notice the first time. 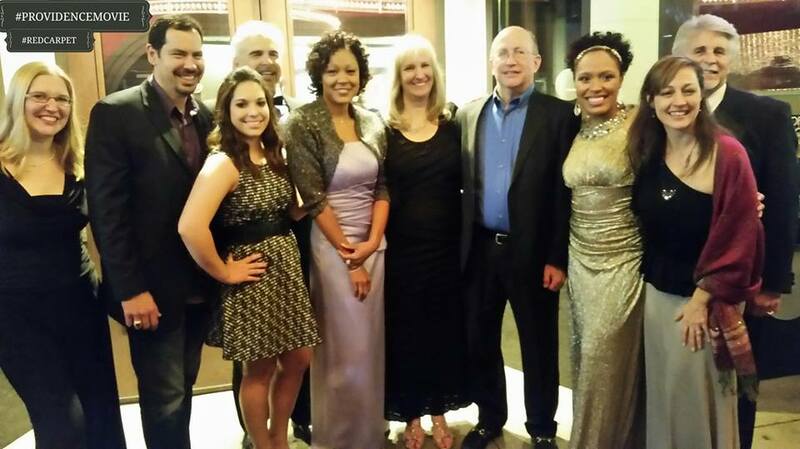 We were honored to have fellow filmmakers Dave Christiano, Randy Rudder, Ricky Burchell, and Donald Parker attending the premiere as well as Fatima Eid from Crown Entertainment. 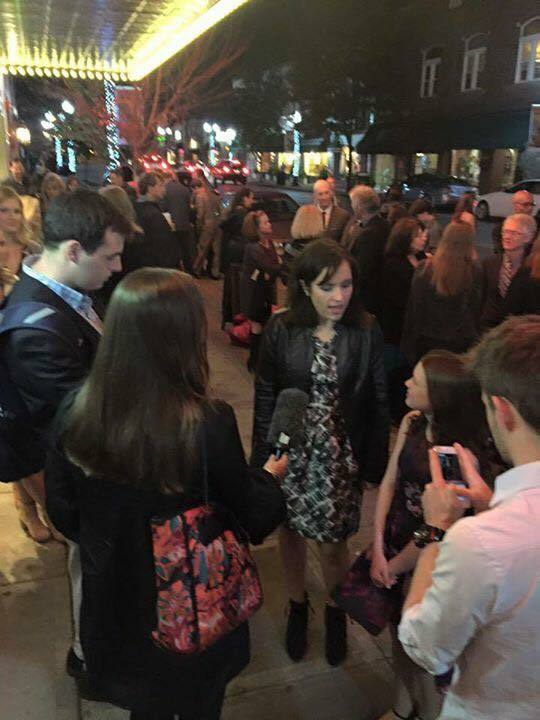 Belmont University student Caroline George interviews Emily Knapp who plays Young Rachel. 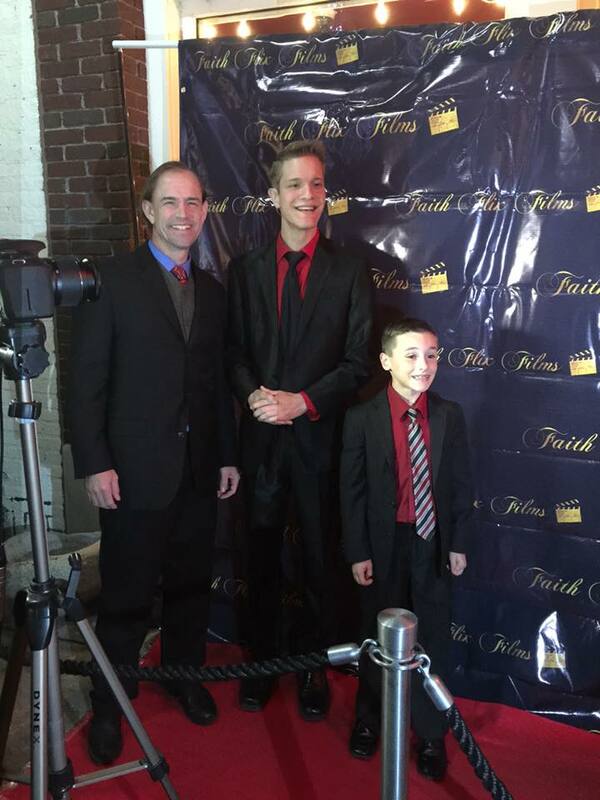 To see more Red Carpet photos visit the Providence Movie Facebook page. 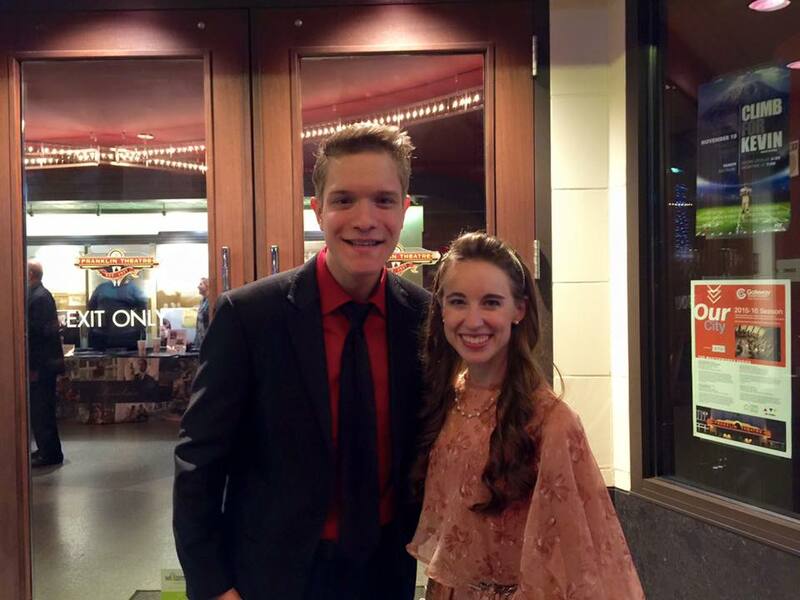 Watch the full Music City Corner Periscope coverage of the premiere. Great blog article, and so cool you used one of Dan’s pics, too. He’ll like that. Had a blast Sunday night. So good to see everyone again, but sad that I missed a few. Brenda, that is one of my favorite pictures of the evening!